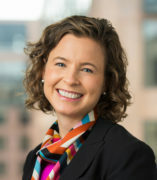 Tracy Gordon is a senior fellow with the Urban-Brookings Tax Policy Center, where she researches and writes about fiscal challenges facing state and local governments, including budget tradeoffs, intergovernmental relations, and long-term sustainability. Before joining the Urban Institute, Gordon served as a senior economist with the White House Council of Economic Advisers. She was also a member of the District of Columbia Tax Revision Commission, a fellow at the Brookings Institution, an assistant professor at the Maryland School of Public Policy, and a fellow at the Public Policy Institute of California. Gordon has written extensively on state and local government finances, including taxes, budgeting, intergovernmental relations, municipal debt, and pensions. She has appeared in the New York Times, the Wall Street Journal, and the Washington Post as well as on CSPAN, Fox Business News, and NPR. Some recent publications include "The Federal Stimulus Programs and Their Effects" (with Gary Burtless), in The Great Recession (Russell Sage Foundation); "State and Local Fiscal Institutions in Recession and Recovery," in The Oxford Handbook on State and Local Government Finance (Oxford University Press); and "Addressing Local Fiscal Disparities," in The Oxford Handbook of Urban Economics and Planning (Oxford University Press). Gordon holds a PhD in public policy with a concurrent MA in economics from the University of California, Berkeley.